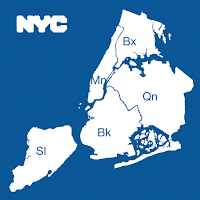 NEW YORK––Three of New York City’s boroughs – Queens, Brooklyn and The Bronx, in that order ­– led the City and all New York State counties in numerical population growth over the last year, the U.S. Census Bureau announced today. As a result, the city’s population grew by 55,000, reaching a record high of 8,550,405, with the three boroughs accounting for 84 percent of this growth. The Bronx grew by nearly one percent, the highest rate of growth in the State of New York. Over the last five years, Brooklyn led in population growth, followed by the Bronx, Queens, Manhattan and Staten Island – as the chart below indicates. The City’s population increased by 375,000 residents or about 4.6 percent during this period, based on estimates of the population as of July, 2015. The city has not experienced such a robust rate of growth since the 1920s. The increase is fueled by a continued surplus of births over deaths, people continuing to move to the city and a decline in the number of people leaving the city. In 2015, Queens grew by 16,700 compared to 16,015 in Brooklyn and 13,687 in the Bronx. Manhattan and Staten Island followed with 7,552 and 1,257 additional people respectively. Each of the City’s five boroughs registered gains in population in the post-2010 period. 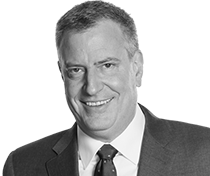 Brooklyn saw the largest increase, up 5.3 percent or 132,000 persons, followed by the Bronx (5.1 percent or 70,300 persons), Queens (4.9 percent or 108,400 persons), and Manhattan (3.7 percent or 58,600 persons). Staten Island (1.2 percent or 5,800 persons) showed the smallest gains over the 63 month period. The increase for the Bronx brings it close to its historical high, achieved in 1970, when the population of the borough was 1.472 million. Since 2010, New York City has been responsible for 90 percent of the growth in New York State, with its relative share of the State’s population rising from 42.2 percent to 43.2 percent in 2015. The data show that “net migration” to the city was positive for the 2010-2015 period, meaning that more people are coming to New York City than leaving it. The city gains almost 50,000 people through migration, with net losses through domestic migration more than offset by net inflows of international migrants. These sustained net inflows have not been experienced by the city for over a half-century. Queens and Manhattan showed the largest gains through migration, while Staten Island actually showed a modest loss through migration over the period. The Census Bureau’s estimates are prepared using a combination of administrative records from vital statistics, tax returns, and Medicare, along with data from the American Community Survey. Based on an analysis of the City’s long-term growth potential, City Planning demographers are projecting that its population will cross the 9 million mark by 2040. For more detailed analysis, see www.nyc.gov/planning. The Department of City Planning plans for the strategic growth and development of the City through ground-up planning with communities, the development of land use policies and zoning regulations applicable citywide, and its contribution to the preparation of the City’s 10-year Capital Strategy. DCP promotes housing production and affordability, fosters economic development and coordinated investments in infrastructure and services, and supports resilient, sustainable communities across the five boroughs for a more equitable New York City.